Windows 10 to come with a free version of Office? While competitors like Apple and Google have been adding free productivity products to their operating systems (think Google Apps and Apple iWork), Microsoft remained silent. The company used to give away free copies of Office Starter 2010 and Works back in the days but these were quietly phased out, leaving the market opened for other alternatives like Libre Office, Kingsoft or WPS. But that will change with Windows 10; we know that Microsoft already offers a limited version of Office to mobile platforms such as iOS, Android and Windows Phone. We know that it is also working on Office Touch, which is now known as Office Mobile, one that can already be downloaded to Windows 10 via Windows Store and is essentially a cut-down version of Office 365. 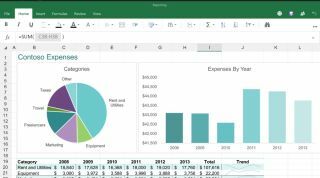 Now comes the first confirmation that Microsoft will bundle the three components of Office Mobile (Word Mobile, Excel Mobile and PowerPoint Mobile) with the desktop version of its operating system. The first product that is getting it officially is the Archos PC Stick, a £63 ($100, about AU$ 130) HDMI PC dongle that plugs into a display (and is therefore not touch capable by default). The product's press release specifically mentions pre-installed productivity software that includes the three aforementioned components of Office Mobile. The move to give all users a free version of Office makes sense as it would be one more reason to encourage users to migrate from previous Windows operating systems.